Soothing Mask. 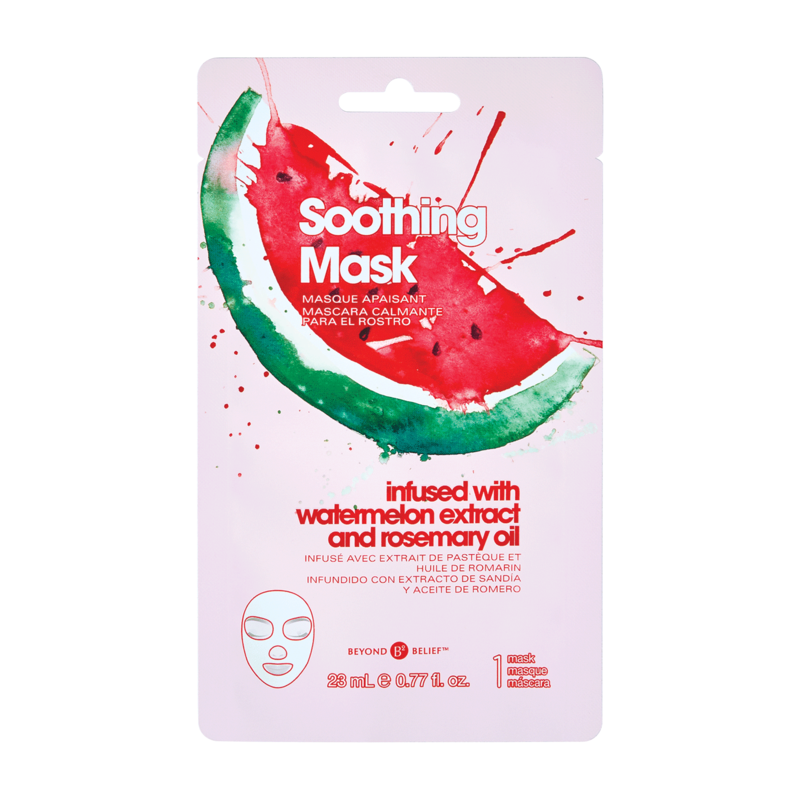 Ultra-soft, form fitting sheet mask infused with Watermelon Extract and Rosemary Oil. In just one use, skin appears rejuvenated and refreshed. Water (Aqua,Eau), Glycerin, Phenoxyethanol, Xanthan Gum, Hydroxypropyl Guar, Citrullus Lanatus (Watermelon) Fruit Extract, Caprylyl Glycol, Ethylhexylglycerin, Polysorbate 80, Trehalose, Polyglyceryl-4 Caprate, Zeolite, Allantoin, Sodium Hyaluronate, Tocopher yl Acetate, Olea Europaea (Olive) Fruit Oil, Citrus Medica Vulgaris Peel Oil, Rosmarinus Officinalis (Rosemary) Leaf Oil, Foeniculum Vulgare (Fennel) Oil, Ferula Galbaniflua (Galbanum) Resin Oil, Carum Carvi (Caraway) Fruit Oil, Artemisia Herba-Alba Oil, Daucus Carota Sativa (Carrot) Seed Oil.